Case Studies - Trafficdeveloper Traffic Developer | Great Rankings, Better Service. 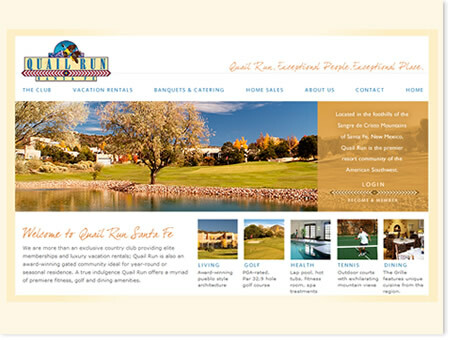 Quail Run is a premier, lifestyle and residential community that includes a world-class golf course, spa, fitness center, and dining/catering facility. They needed to accomplish two major goals with a site re-design. First, they wanted to expand the market presence of the services and amenities that the Quail Run community provides to its homeowners and members. Secondly, they wanted an easy and effective way to communicate with their existing homeowners and members. There was a vast amount of content that had to be categorized and presented in a manner that was easily understood and accessible to Quail Run community members, including secured access to confidential information. The site has been enthusiastically accepted by the community members and we couldn’t be prouder.